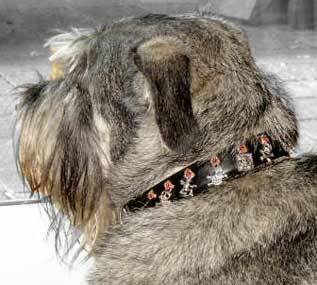 Home / 'Best Collar for your Breed' / TERRIER"ISTS"
We do hope you will excuse our joke calling this group terrier"ists" but they can be little devils and are quite a test of the hardiness of our collars! 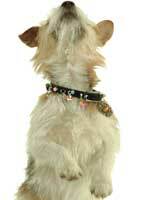 Terriers were crossed with hunting dogs, (to improve their hunting), and some with fighting dog breeds (to "intensify tenacity and increase courage"). Most terrier breeds were developed in Great Britain and Ireland and are typically small, wiry, very active and fearless dogs with a desire to get into EVERYTHING, but they are great companions!!! 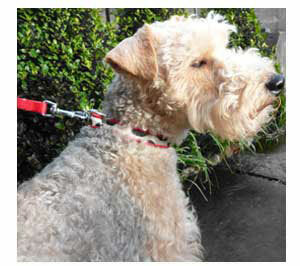 Terriers really do look great in our Collar & Leads. 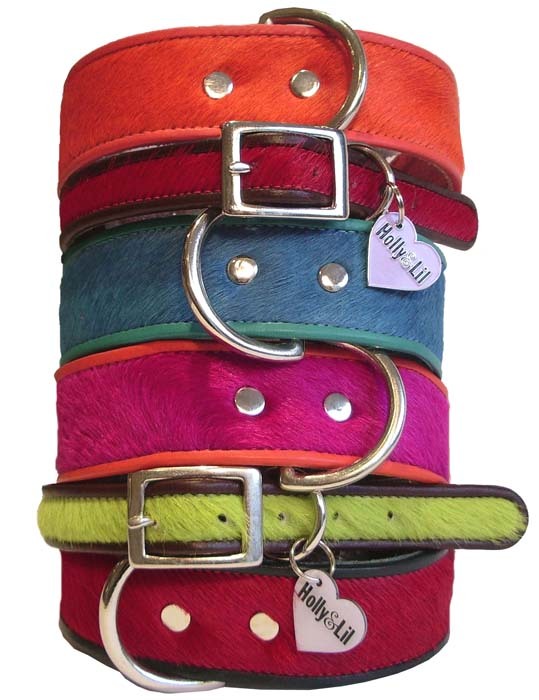 Click on the Cowhide and Calf you will see our unusual, but beautiful, combinations, like Pink with Orange, Blue with Turquoise, Red with Chocolate Brown, Orange with Orange and Lime with Brown Trim. 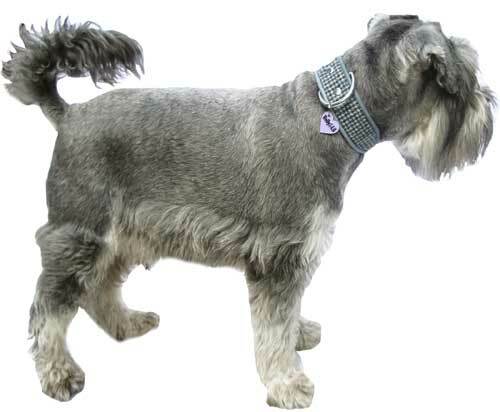 And though slims look fab on Terriers, some breeds like Ceskys, Irish Terriers, etc - have perfect necks for an H&L signature "Wide". 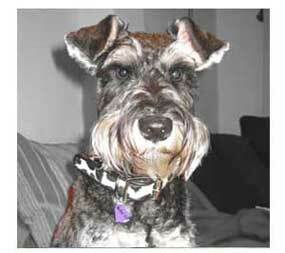 They are 1.5" at the back for our viewing pleasure but narrow down to 3/4" under their chin for their comfort – perfect! Other breeds like the Parsons Jacks, and Borders have good long necks but need more delicate fittings so we have developed the "miniwide" for them, 5/8" widening to 1", a clever way to get more collar on them but not make them uncomfortable. 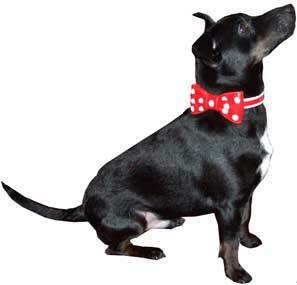 Though as all our collars are made in London we do offer a bespoke service so you can have any size made in any width. 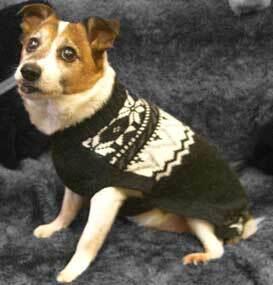 The Safari prints suit a Terriers quirky nature. Our cowskins are very much everyday collars - being made of Italian calf leather, the colours stay true and the leather stays supple. They do not “crack “ the way Bridle and reconstituted leather can unless you feed it all the time. Our own dogs swim and mud wallow in theirs all the time. 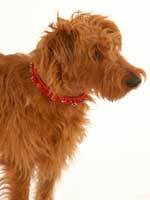 A lady came to thank us at Crufts as she had bought a Red and Green collar for her working dog, (she has a farm in Scotland), last November at Discover Dogs. 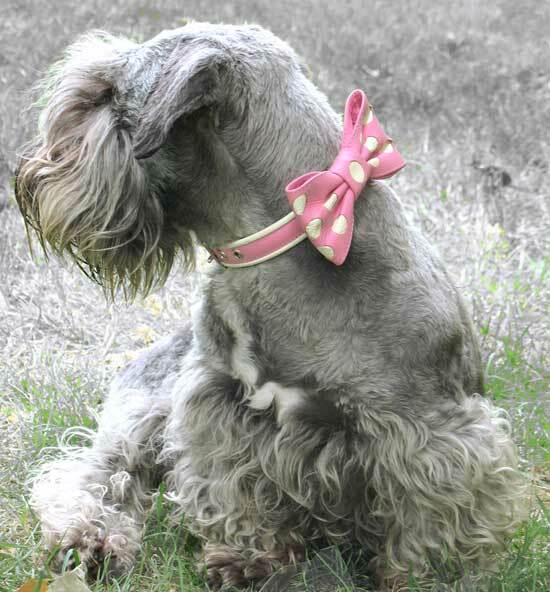 She walked out thinking “What have I done buying (what looks like) a fashion collar for the dog?” Her husband laughed when he saw it, BUT NOW, when he knew she was coming to Crufts, he told her to find us and thank us and to buy the matching lead for trips to Town! And you must consider the fabulous Isle of Harris handwoven Tweed Range they weave the Tweeds in their kitchens on the islands then send them down to us to make into collars. How handmade is that!! 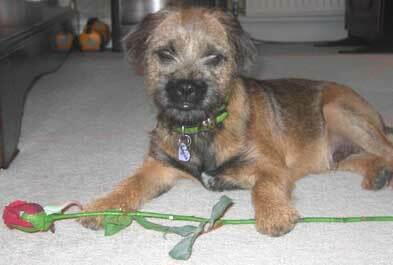 And the country fabric really suits a Terriers roots? 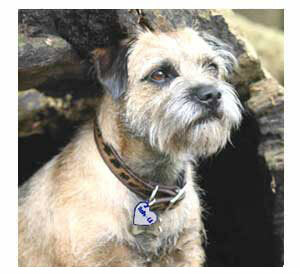 For something simpler, but oh so stylish, Terriers look super smart in our Hollywood Dreams range. From the more sophisticated black piped with vanilla to super sweet sugar pink and vanilla. That might be just the thing! We do also have a sweet baby blue and lovely lilac. 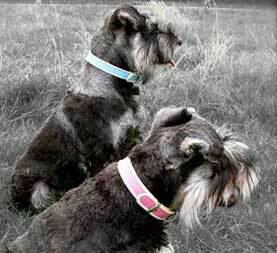 Our collars are robustly handmade, using the finest quality materials. 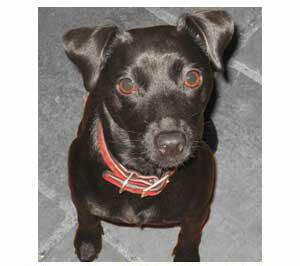 However, we know that some dogs are incredibly hard on their collars, being relentless pullers, wrestlers or scratchers. 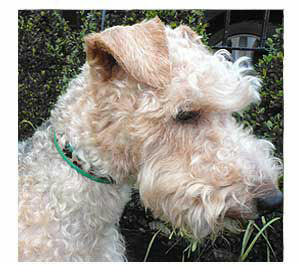 So you do need to use a certain amount of commen sense when selecting collars for a terrier. Relentless scratchers may eventually wear out the silky cowhide, (do ensure you put the collar on the correct way up so the hair lies downward) and wear away their Tweed. 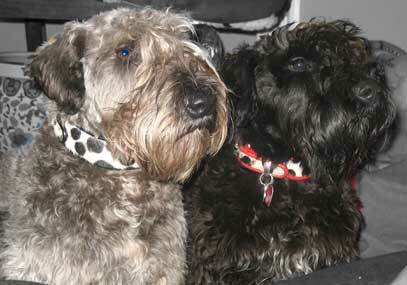 So consider the calf leather collars for these dogs. 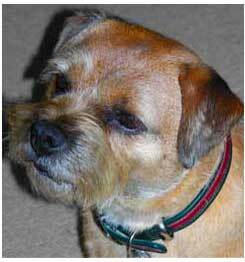 But this is for extreme cases - generally these collars are fabulous for Terriers. 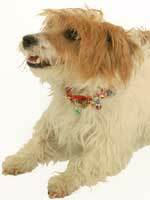 Our adorable Beau Belles collection just look dreamy on a Terrier, though it would be wise to keep them for more controlled walkies, snuffling in bramble bushes should be avoided. They can be created in any colour you would like. 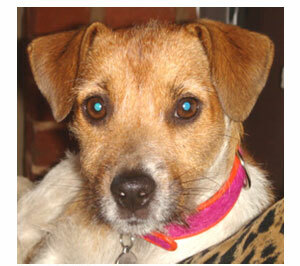 Charm, Semi-Precious or Beaded collars are very much a special occaision collar for a Terrier. 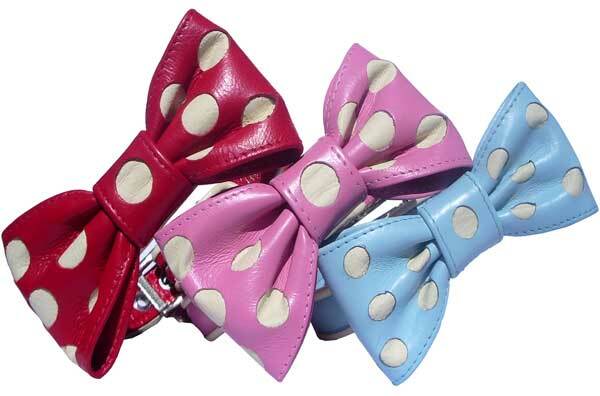 All of our calf collars can be supplied with a matching lead and some clients buy a Charm collar and lead for smart days and a matching plain collar for going wild in the country! And finally to keep them warm do have a look at our Alpaca Handknitted coats, new additions will be available in October. Standard Slims for a size 2 ae 5/8" but do consider the mniwides which are 5/8" to 1". Standard Slims for sizes 3-5 are 3/4". Standard Wides are 3/4" to 1.5" but you can, of course also consider the miniwide option 5/8" to 1".